Congratulations to Scotland to their victory on a day of bright conditions. Fred Bainbridge (captain), Jonathan Barnes, Mark Harrison, Del Spry, Gilliaum Vermeulen, Scott Nellins (reserve) & Jeremy Lucas (manager). Friday, June 22nd, probably the most difficult conditions this season in terms of conditions for fly fishing. 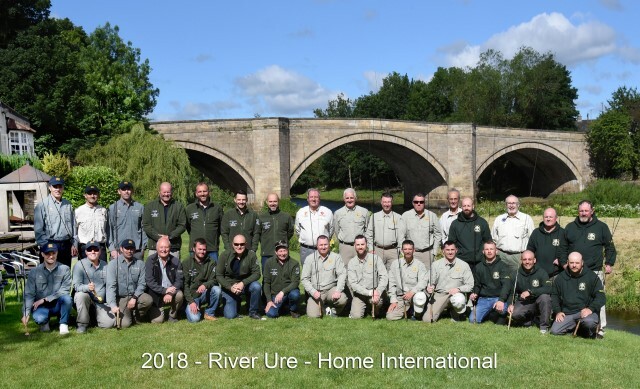 England, Ireland, Scotland and Wales met on the River Ure to contest the IFFA River International on the magnificent Bolton Castle Estate in North Yorkshire. The harsh reality of the results suggests indeed that the conditions were hostile, despite the conditions each and every angler gave their all and it was Scotland who prevailed and took the gold medal. Team England was ferociously captained by Fred Bainbridge whose boundless energy drove the entire team, which included three new caps, Gilliaum Vermeulen, Del Spry and Mark Harrison, such that even this comparatively inexperienced team was always going to be a threat. Fred’s intimate knowledge of the Ure, and tactical prowess was shared with the team from the day he was made captain and the team also benefited hugely from the experience of veteran dry fly master, Jonathan Barnes. The morning sessions were generally poor for England and the team found themselves in last place at the lunch time break. In such testing conditions avoiding the blank was incredibly important, but unfortunately for England, through no lack of effort, they recorded a couple. However, Jonathan Barnes secured two first placings in his morning sessions, while both Fred Bainbridge and Del Spry secured one second placing. Although with the afternoon to come, England were still confident they could recover and move up the table. To a degree, England showed this as the team romped away to two firsts and two seconds in the third session, but the river had also ‘died’ by this time. Clear skies and bright sunshine meant conditions failed to improve, while a strong downstream wind developed making conditions even more challenging for all anglers on the water. The final session came down to avoiding the blank and England’s Mark Harrison took two fish, enough to win his section in very challenging conditions. Despite the team registering measurable fish it wasn’t enough to challenge the other nations for the title and Team England finished in third place as the event came to an end. The ever popular and magnificent competitor Terry Bromwell, of Wales, to great applause, won the Moc Morgan trophy for the top individual, while his team fished hard they could only manage a fourth place. 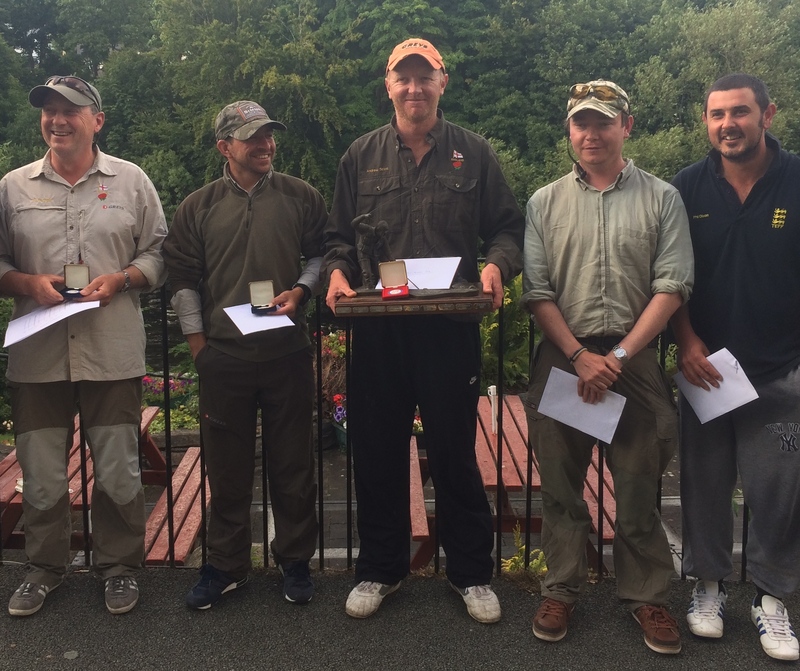 Ireland pushed the overall winners closely and had the consolation of the Mike Childs trophy for the day’s biggest fish (42.9cm), though it was Scotland who stole the day. Teams: 1st, Scotland; 2nd, Ireland; 3rd England; 4th Wales. Individual: Terry Bromwell, Wales, with six placing points. Top England rod, in 5th, was Jonathan Barnes. 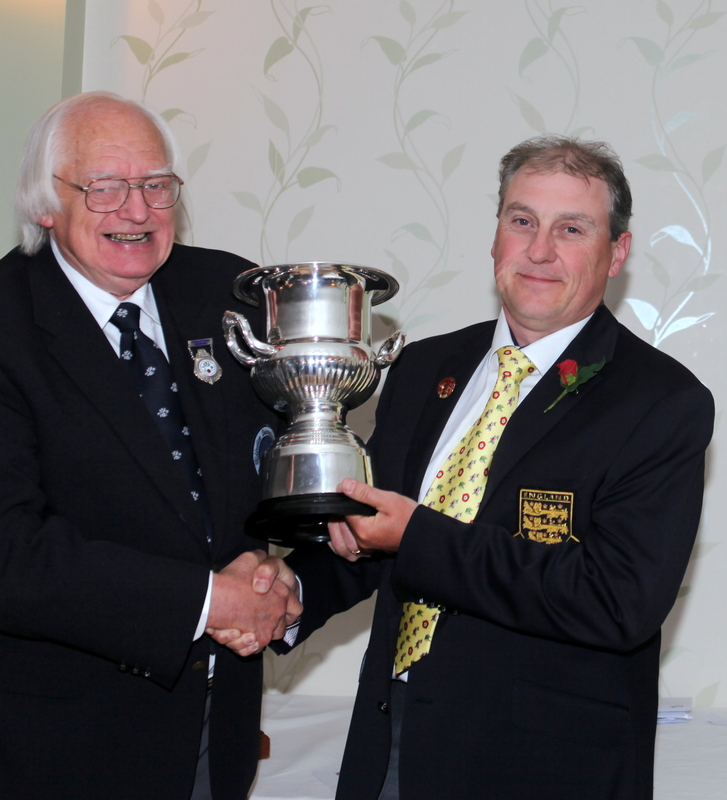 Other Team England placings: Fred Bainbridge (Captain), 11th; Del Spry, 15th; Gilliaum Vermeulen, 16th; Mark Harrison, 18th. Congratulations to Wales on a convincing victory. Fred Bainbridge, Jonathan Barnes, Steve Cullen, Andy Ford, Andrew Scott, Harry Fox (reserve), and Jeremy Lucas (manager). Congratulations to Scotland for a decisive victory. AT Team England FF were represented by: Andrew Scott (captain), Andy Cliffe, Phil Dixon, Chris Richardson, Simon Robinson, Cameron Craigs (reserve), and Mike Tinnion (manager). 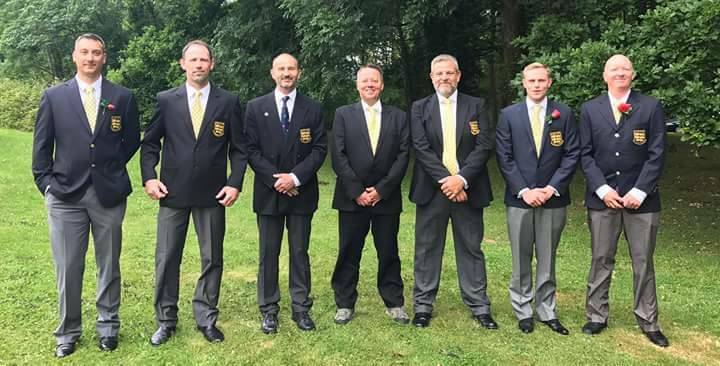 AT Team England FF was represented by Robert Brown, Andy Cliffe, Terry Phillips (captain), Simon Robinson, John Tyzack and Lee Bartlett (reserve), with Mike Tinnion (Manager). Congratulations to Wales on a very close result. 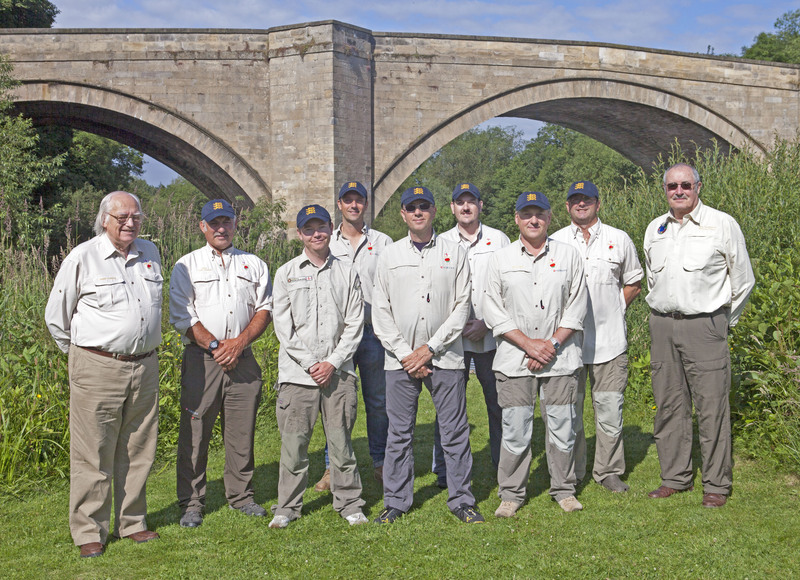 It is a credit to the skills of all the anglers involved that the shrunken River Ure produced an average of just under ten fish per rod on what was one of the most closely fought Home Internationals of recent times, with small nymphs and dry fly the order of the day in the clear, low water. At the end of the four sessions it was too close to call, with England and Wales equal on placing points, so the the result went to ‘fish points’, i.e. the number and length of fish. England had more fish but Wales had some larger ones, and after counting these, England had 2686 points and Wales 2694, with Wales edging the win by the smaller of margins. Individual honour and the Moc Morgan Trophy went to England’s Andy Cliffe with a great performance on his England debut. Our thanks to: Bolton Castle Estates for the superb stretch of river; George Hotel, Piercebridge, and Three Horseshoes, Wensley, for accommodation and match day food; the IFFA and the AT TEFF Northern Federation, especially Mr Paul Page, for organising the event; and last but not least, all the controllers/section judges for measuring the fish and ensuring they were safely returned. Congratulations to Wales for a convincing victory. Wales put in great performance to cope with a big change in river conditions on the day of the match. This year’s home international was hosted by Ireland on the River Agivey, a tributary of the Bann. It proved to be the perfect venue for this type of event with lots of wild trout just about everywhere on all of the beats. With heavy showers rolling through all week, the river changed in height every day but still fished extremely well. Friday, the day of the match, saw the river at probably its lowest level of the week. A tight competition ensued as it often the case. With fifteen minutes of an hour and a half session left on “A” beat in the afternoon, we saw all four anglers with the same number of fish, so one or two fish in the last ten minutes really can make all the difference between that 1st spot and a 4th place. With Ireland claiming first place, just pipping Wales, this was a popular result on home waters. England also just beating Scotland for 3rd. Kieron Jenkins got a magnificent four 1st placings to take the individual winning place; to crown this he also took the Mike Childs Trophy home with him for the biggest fish. Once again, this proved to be a fantastic event fished in the true spirit of fly fishing, and with all four nations winning this competition within the last five years, it will be anyone’s match next year when it moves to the mighty Tay in Scotland.